Any SCAREDY CUT purchase from an authorized reseller comes with a 2-year refund / lifetime replacement guarantee. 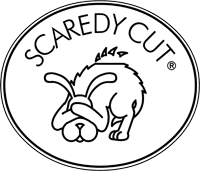 If you and your pet aren't 100% satisfied with your purchase, please email us at info@scaredycut.com so we can help you. If Scaredy Cut just isn't for you, you're entitled to a full refund. Unauthorized resellers sometimes sell used and defective items as new and we do not guarantee those purchases and recommend you avoid those sellers.